Yosemite is a tremendously popular tourist destination, gaining visitors every year. 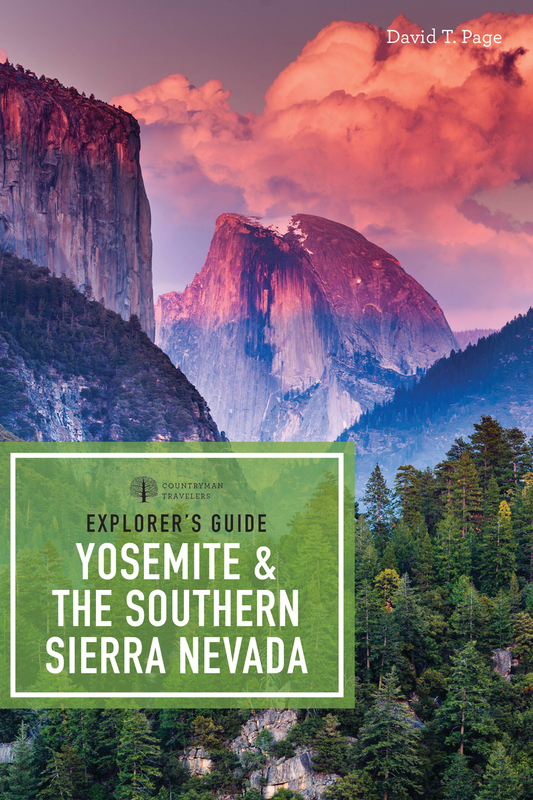 The only complete guide to California’s southern Sierra Nevada—some of the most stunning wilderness in North America—is better than ever in this revised, updated, and beautifully redesigned third edition. Detailed reviews of lodging, dining, and recreation, plus outfitters, campsites, trails, and points of historic and cultural interest, make this book an essential companion to the incomparable Yosemite region. Renowned travel writer David T. Page makes it easy to get the very most out of your journey. In this book, as with every title in the Explorer’s Guide series, you’ll get beautiful photography, up-to-date maps, and lots of helpful advice from an expert author. Page has seen everything the Sierra Nevada has to offer and now so can you! David T. Page has written for the Discovery Channel, the New York Times, Los Angeles Times Magazine, Backcountry, and Men’s Journal. He has won several awards, including BATW’s Best Guidebook of 2010; a 2009 Lowell Thomas Travel Journalism Award; and OWAC’s 2008 Writer of the Year.